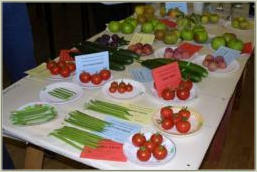 Wellow Garden Association was re-formed in 1991. The original Association was formed in the Second World War, and continued into the mid Sixties. 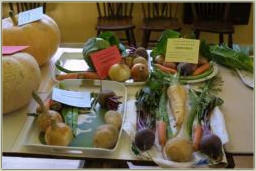 The old Club had a lot of really keen gardeners, (good old-timers) and there was keen competition to win in all sections, but particularly in the vegetable section. It created a good interest and conversation for everyone, and some sec recy whilst the growing was taking place. In those days as well as the home produce section for the ladies there was a handicraft section. Some really lovely articles were entered, including hand knitted cardigans and jumpers, all varieties of embroidery items, and crochet mats and runners. The Club then was open to people outside of the Village. Mr. Greg Hall and his Sister Winnie lived at Wellingore in Lincolnshire. When it was Wellow Show they both push-biked to compete in the Show with specially made trolley containers fixed to their bikes, with all the enties in them. It was a very long way to come, but they did not complain, and loved competing.